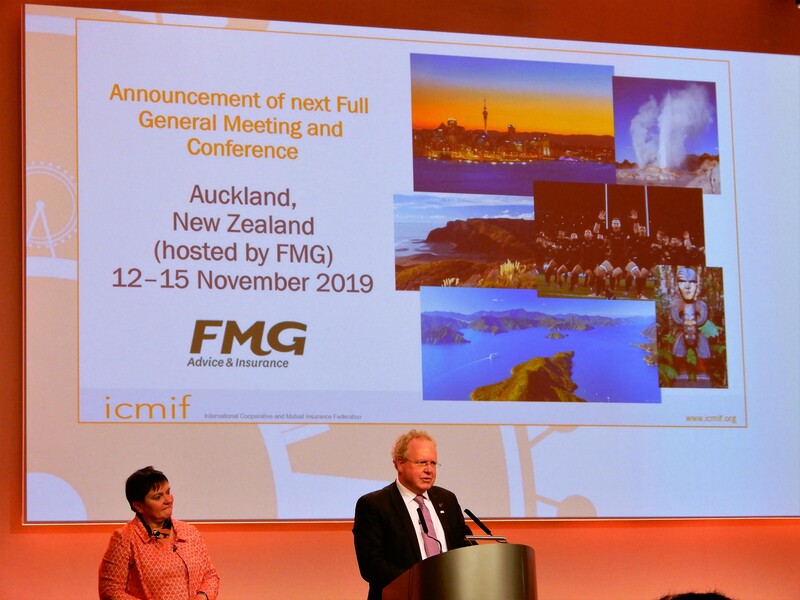 At the ICMIF General Meeting held in October 2017, it was announced that the next ICMIF Biennial Conference in 2019 will be held in Auckland, New Zealand, on the schedule of November 12, 2019 – November 15, 2019. FMG will host the events. AOA General Meeting is also scheduled to be held during the period. Chris Black, Chief Executive of FMG, serves as director of AOA and board member of ICMIF.